Here I mean myths in the sense of confusions, unreliable or inaccurate stories. Below I’ll list myths about Schoolcraft that I have repeatedly heard or read, and for each myth I’ll try to clear up the record. Going over these myths may prove fun or helpful for Schoolcraft’s readers. •The Literary Voyageur was published and printed. From 1962 until 2007, all the writings by Jane Johnston Schoolcraft that caught the attention of critics and teachers came from The Literary Voyageur or Muzzeniegun, a manuscript magazine edited by Henry Rowe Schoolcraft in 1826 and 1827. The Literary Voyageur was never published or printed until 1962, in the edition edited by Philip P. Mason. It really stretches things to say that it was published before then, since it was just a handwritten manuscript shown to friends. This claim is wishful thinking. •The Literary Voyageur was widely distributed. 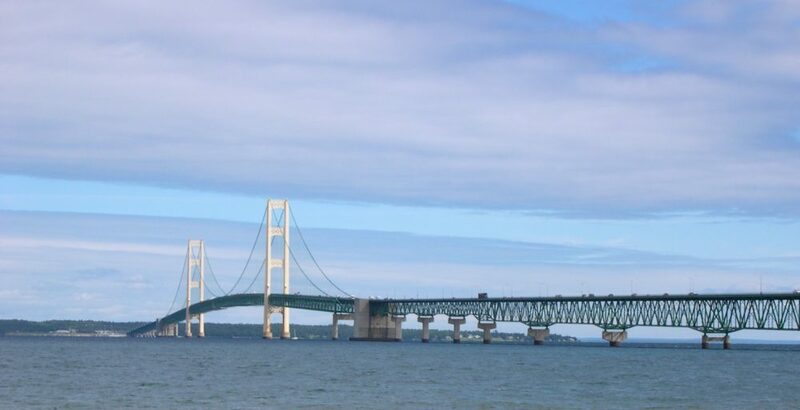 Several letters mention that a few friends saw it beyond Sault Ste. Marie. That doesn’t add up to much. This claim exceeds the evidence. It’s more wishful thinking. •Jane Johnston Schoolcraft was an editor or co-editor of The Literary Voyageur. Wishful thinking yet again. I have seen not a shred of evidence for this claim, and it goes against all the evidence we do have that Henry Schoolcraft edited this manuscript. Jane Schoolcraft was a frequent contributor, but that doesn’t make her an editor. •She went to school in Ireland. See The Sound the Stars Make, 15-16. Young Jane may have gone to school in Ireland, briefly. I tried hard to find evidence in Irish newspapers about her time in Ireland—perhaps a notice of her arrival or departure or her attendance at school. After all, she must have attracted attention. I also tried hard to find information about schools she could have gone to, and I found nothing except that, to my surprise, girls—including Protestant girls—could go to school. While it’s not likely there was any published record even if she did attend school, or that if there was any record it survived, the signs that she went to school are flimsy, and in any case she was only in Ireland for a few months. •She went to school in Canada. Most of her siblings did, but she didn’t. Unless she went to school briefly in Ireland (see above), she never went to school. •She typically wore her hair in ringlets. This is a preoccupation of Janet Lewis’s 1934 novel The Invasion, where ringlets serve as a tagline for Jane Schoolcraft. The surviving photograph of a portrait of Schoolcraft shows her in ringlets, but that seems unlikely as a daily style. It would have taken a lot of work to keep those ringlets. Even if she wore the ringlets for a length of time, or during her stays in cities, it seems unlikely as a representative style across her adult life and across the various places she lived from Sault Ste. Marie to Detroit to Mackinac Island to New York City. •Her name. This one is tricky. In her own time, in print and probably in most English-language social conversation, she was referred to as “Mrs. Schoolcraft,” but we just wouldn’t refer to her that way today, so any form of reference left to us distorts the historical record. My preferred way to address that problem is to treat women from history the same way I treat men, that is, to refer to them by their full name the first time and by their last name afterwards. Usually, that causes no problem. I call her Schoolcraft. I am also put off by the practice of referring to white men by their last name but to women or people who aren’t white by their first name. (Some people, for example, refer to the poet as Emily, but I never see anyone referring to the novelist as Herman.) In this case, however, the term “Schoolcraft” can cause confusion between Jane Johnston Schoolcraft and Henry Rowe Schoolcraft, and so, depending on the context, I often say Jane Schoolcraft or Jane Johnston Schoolcraft, or sometimes, when differentiating between Schoolcrafts or referring to her girlhood years, I say Jane, the practice I otherwise abhor. In general, I hope now that over time the term Schoolcraft can come to refer to her, not to him. But there remain a couple other issues. I have seen people refer to her as “Johnston Schoolcraft,” which just sounds odd to my ears, too far from ordinary usage. Maybe I should be more sympathetic, as I’ve seen people do that for other writers if they have a common last name (such as Charles Brockden Brown) or for women who have a last name that could sound like a man’s first name (such as Paula Gunn Allen). But it just sounds off to my ears. 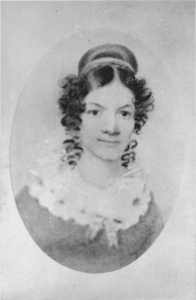 I’ve also seen people refer to Jane Johnston Schoolcraft, after her marriage, as Jane Johnston, which simply seems inaccurate, even if we wish that it were accurate. Most of all, many people wonder about the name Bamewawagezhikaquay. The spelling varies, because there was no standardized system for spelling Ojibwe, and even today there are multiple standardized systems. A more typical spelling from our time would be Baamewaawaagizhigokwe. The translation can vary also. Margaret Noodin has noted that a more literal translation might run “a woman who moves, making sound in the heavens.” Woman of the Sound the Stars Make Rushing through the Sky is a lyrical, expanded translation, but it was apparently her translation, and I see no reason to cast aside her own translation or her choice to translate her name into something that sounds lyrical in English. I’ve also been asked whether anyone would really call her Bamewawagezhikaquay casually. Probably not. Ojibwe speakers would typically have called her by a kinship and generational category, such as daughter or sister. For more on her name, see the discussion of “Leelinau” below. •Jane and Henry’s marriage fell apart after their son William Henry died in 1827, or their marriage fell apart in the 1830s. Scholars writing about Henry Schoolcraft came up with this idea, and it makes a spicy story, so once one person says it, others repeat it. But it isn’t true. They had their troubles, but their marriage did not lose its passion—especially on Jane’s part—or unravel. See The Sound the Stars Make, page 36 and following. •She recorded the stories, rather than wrote them, or she got them from her mother, so they’re her mother’s stories, not hers. We don’t generally know where she got them or how much she revised them from her sources, or how many sources she had. It probably varied from story to story, but I see her as a writer of her stories. It hardly makes sense to say or imply that she couldn’t have made the stories up but her mother made them up. Together with other relatives and acquaintances, they both participated in a long tradition of storytelling, and Schoolcraft varied that tradition by telling the oral stories in writing. For more comparison between her way of writing stories and the usual Euro-American way, see The Sound the Stars Make, 54-58. •She is the source of the stories in Algic Researches. She is the source of some of them, including the stories in The Sound the Stars Make that also appear in Algic Researches, and probably of others. And she probably transcribed and/or translated some stories that others dictated, but we don’t know which ones. The surviving manuscripts of some of the stories are in her handwriting, and some are in her brother William’s handwriting. Jane may also have helped polish other people’s translations, especially their translations of songs. Henry’s acknowledgments are offensively brief and obscure, but he acknowledges lots of people. See The Sound the Stars Make, 25-27. Saying without evidence that Jane was the main source has the sound of more wishful thinking. •The story called “Leelinau, or The Lost Daughter” in Algic Researches must be about Jane Schoolcraft, since she sometimes used “Leelinau” as a pen name. I’ll have to see evidence for that before I believe it, because there is little relation between Jane Schoolcraft and the Leelinau in the story, even if we think metaphorically. In lieu of evidence for some particular connection, the reuse of the name seems whimsical. •Her writings in The Literary Voyageur under the names Rosa and Leelinau represent two different personas, one more white and the other more Indian. This is a clever argument, but I see no convincing evidence to back it up, and everyone who makes the argument soon ends up twisting and turning to sustain it against the evidence. 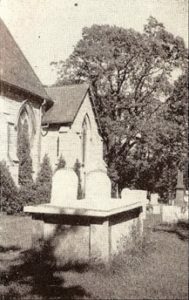 I join with those who look with suspicion on the idea that “mixed bloods” are typically, as the saying goes, “caught between two worlds.” Especially in the world of Jane Johnston Schoolcraft, at least during her formative years, before many whites arrived, there was nothing unusual about having both Indian and European ancestors. •The distinguished British writer Harriet Martineau wrote about Jane Johnston Schoolcraft. Martineau visited Mackinac Island and must have met Jane and Henry Schoolcraft, but I have not found anything that she wrote about them (and I’ve looked) or seen a specific reference to anything. Maybe I missed something, or maybe one person makes a mistake and then others repeat it without checking. •She wrote for white people. Not really, or at least not only. The story of Schoolcraft’s life should remind us that not only white people were readers. Schoolcraft didn’t write for publication. 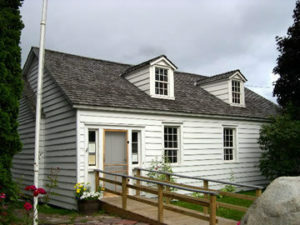 She wrote for people immediately around her, and the people immediately around her who read English were both white and Indian, including Métis. •Schoolcraft’s children went to Indian boarding schools. I understand why people think this, but it’s not correct. Many of us know the often sordid history of how federal administrators and school officials took Indian children from their homes and sent them to Indian boarding schools. That history gives special poignance to the plight of Schoolcraft’s children going to distant boarding schools against their mother’s preference. But they did not go to Indian boarding schools. They went to elite boarding schools where the other children were white. •She was shy and submissive. Sort of and sometimes, but she showed her writing to visitors and she talked back to Henry in their letters. For more on this issue, see The Sound the Stars Make. •At the opposite extreme, she was a revolutionary, a model of resistance to white colonialism. That projects later ideas onto the past, another version of wishful thinking. And maybe she’s less interesting if we make her sound like someone from our own time. See my article “Contemporary Anticolonialist Reading and the Collaborative Writing of Jane Johnston Schoolcraft” in Before Yesterday: The Long History of Native American Writing, edited by Simone Pellerin (Pessac, France: Presses Universitaires de Bordeaux, Collection “Lettres d’Amérique(s),” 2009: 47-52). •She compromised her Indianness by writing in European forms. Contemporary myths about culture can encourage this way of thinking, leading us to suppose that cultures are separate from each other, that everyone in a given culture is the same, and that anyone who doesn’t fit that model of the same is some kind of border crasher and sellout. But while some people do sell out, cultural mixing doesn’t make someone a sellout. We’re all border crashers, all the time. Schoolcraft wrote in—and often revised—the forms of her time and place, both predominantly Euro-American forms and predominantly Ojibwe forms. If that means compromise then it’s all compromise all the way down, for all of us. But it doesn’t mean compromise. And as for sellout—such an accusation is wildly unfair. It says more about the accusers’ fearfully oversimplifying cultural assumptions than it says about the intricate world of Schoolcraft, who did so much to identify with her Ojibwe heritage. 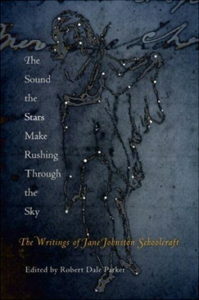 For much more on how Schoolcraft worked with literary forms, see The Sound the Stars Make. •She died in 1841. One scholar goofed and wrote that she died in 1841, and then scholar after scholar repeated the mistake. She died in 1842. •She died young. It’s easy to see why people say that, and in some ways they are right. Forty-two seems like an awfully young age to die. But according to one widely reported study by Ted Marrs, “the average age at death of Indians and Alaskan natives was 48.3”—and that was in 1976. It must have been lower in 1842. Still, the average age of death for those who live to the age of five was probably a good deal higher that the average age of death overall. And we might expect that Schoolcraft, as a person of privilege, had better access to medical care than most other Indians. But in those days, medical care was as likely to hurt as to help, and it probably hurt Schoolcraft a good deal. So yes, she died young, but for her time and social world she didn’t in every sense die as unusually young as we might think.